Enables Mass Spectrometers controlled by the Agilent Technologies MassHunter GC/MS data system to be used for continuous process analysis. The software architecture allows real-time data to be acquired from multiple kinds of instruments and sensors. User-defined formulas can be defined and applied to instrument signal data in real time. This allows ratio, normalization, and other calculations to be performed and displayed in real time. A linear calibration function can easily be generated for Signals. Up to 6 trend-plot windows can be used to display graphical results in real time. A real-time data grid displays numeric results in real time. Results can be exported to comma-delimited (CSV) text files that can be easily imported into spreadsheets and other data analysis or modeling applications. Results are saved to a SQLite database data file allowing contents to be read in real-time during a run. 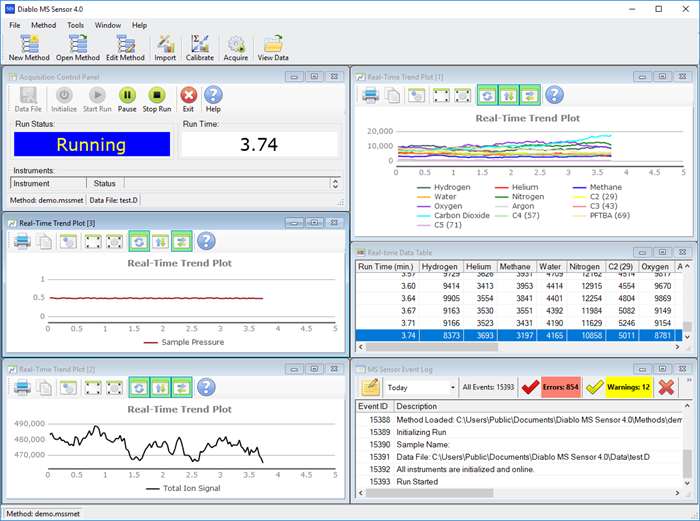 A new MS Sensor Data Viewer program can open MS Sensor data files and allow you to view and evaluate data channel results during the run or post run. New signal calibration functionality incorporates pressure compensation calculations, and simplifies calibrations. Signals can be calibrated during a run. You can import applications from the new MS Sensor Application Builder software and create a new mthod automatically. Includes a new Modbus TCP Slave Server to communicate results with industrial automation computers and programmable logic controllers. The Agilent MassHunter instrument driver now has an optional dual-scan capability that allows alternating mass spectra to be acquired with different tune files, SIM/Scan mode, different detector voltages, etc. The Agilent MassHunter instrument driver now includes an option for a Helium optimization tune in addition to the Hydrogen optimization tune. Data Channel results can now be calculated and displayed as the current result, the average of “n” consecutive results, or the moving average of the last “n” results. Trend plot line colors and plot titles can now be customized. Data Channels can be assigned to different plot windows during the run. The software license can be activated automatically if the computer has an Internet connection. The software has an option to check for software updates if the computer has an Internet connection. Windows 7 Professional (32 or 64-bit), or Windows 10 Professional. 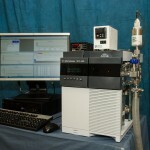 The Agilent Technologies MassHunter GC/MS Acquisition, Version B.07.05 or later in order to acquire data from the Agilent Technologies 5977 MSD or other mass spectrometers controlled by MassHunter GC/MS. 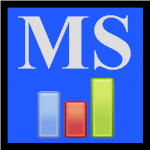 The MS Sensor software is sold as part of the Diablo 5000B Real-Time Gas Analyzer. It can also be purchased as part of an upgrade package for existing Agilent 5973N, 5973 Inert, 5975, or 5977 Mass Spectrometers*. *Important: MS Sensor 4.0 only supports Agilent MassHunter GC/MS acquisition. If your existing mass spectrometer is controlled by MSD ChemStation acquisition, then you will need to upgrade to MassHunter GC/MS. Please contact your Agilent Technologies sales person. Latest Announcements – Check the latest announcements to see if your question might have been addressed by a software update or other communication. FAQs - Check the RTGA and MS Sensor Frequently Asked Questions to see if your question might have been answered. You can also post your question to the support forum where technical support personnel and other users can respond. Other Support Options – Visit our Product Support page to see the other technical support options that are available. 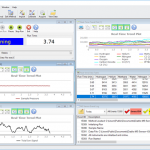 The MS Sensor Application Builder software is tool to help users develop direct sampling mass spectrometry applications where spectral interference must be considered (like applications for the Diablo 5000A Real-Time Gas Analyzer). The Application Builder software uses the NIST Mass Spectral Library of 267,376 chemical compounds and the user’s estimate of compound concentration to generate a combined sample spectrum and a table of sample m/z values with estimates of potential interference.